Barbara Ralston is a Leadership Strategist who is the founder and Chair of Camelback Community Bank located at 2777 E. Camelback Road, Phoenix. Barbara’s strategic leadership brought Camelback Community Bank from its de novo status in 1998 to $85 million in total assets and a highly profitable institution in five years. She effectively structured a succession plan that supported her move to Chairman and her replacement as President and CEO with minimal impact on the bank’s performance and profitability. As a Leadership Strategist, she has served as facilitator for a number of business and non-profit organizations where she has successfully engaged all stakeholders in reaching consensus. She has led workshops on a wide variety of topics, including presentation skills, personal responsibility, change management, team building and leadership development. Her banking career spans more than 30 years and three bank acquisitions. She was the President of Continental Service Corporation, a wholly owned subsidiary of Continental Bank until Continental was acquired and she became Executive Vice President and Chief Operating Officer for Chase Bank of Arizona. After the bank’s 1994 acquisition by First Interstate Bank, she served as Phoenix Area President where she was responsible for managing 79 branches in the Phoenix metropolitan area and 18 statewide supermarket branches. Barbara is an active business leader and community volunteer. She serves as Chair of the board of directors of Blue Cross Blue Shield of Arizona, Fresh Start Women’s Foundation, and Great Hearts Academies. She is an active member of Arizona Women’s Forum, Charter 100 and Valley Leadership Alumni Association. Barbara has been recognized for her leadership as a recipient of the 2000 Women of Distinction award, the 1998 ATHENA award from the Greater Phoenix Chamber of Commerce, 1996 Woman of the Year presented by Valley Leadership, the 1997 Golden Heart award sponsored by Today’s Arizona Woman Magazine and the 1997 World of Today and Tomorrow award from the Arizona Cactus-Pine Council, Girl Scouts of America. In 2004, she was named one of the top women bankers by American Banker Magazine. Barbara leads The Halpin Companies’ Strategic Execution Management (SEM) division. The combination of Barbara’s business experience and her passion for helping others see what is possible and then creating and implementing strategies to achieve “quantum leap results” are a powerful resource for her clients. 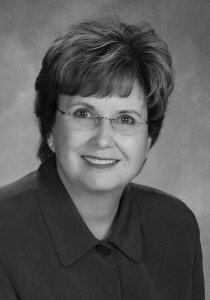 Click for Barbara’s bio in PDF.